Sophos gives you antivirus protection for NetApp, EMC and Sun storage systems. The Sophos for network storage license-also included as part of Endpoint Protection-allows you to use the relevant Sophos software for your platform. Prevent malware from spreading throughout your organization with Sophos for Network Storage. The lightweight scanner protects against the latest threats while integrating seamlessly with a broad range of storage systems, including those from EMC, NetApp and Oracle/Sun. 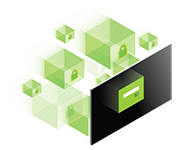 Load balancing, failover and clustering capabilities provide high availability and high throughput, deliver the best experience-and the best security-for your users. 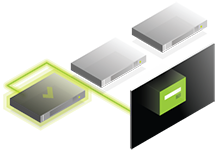 Increase performance and reliability by setting up multiple scanning servers, providing load balancing or failover capability. If you use NetApp's Data ONTAP, you can also employ full many-to-many clustering for maximum efficiency. Malware infections, system issues and maintenance windows are not limited to business hours. That's why Sophos provides 24/7/365 support standard-so you can get help when you need it. The prestigious SCP certification recognizes our commitment to providing effective, responsive support. Runs on a wide range of Windows, Linux and Unix platforms. Server operating system recommended. For all platforms, minimum system requirements do not exceed 256-MB RAM, 500-MB disk space and a 32- or 64-bit x86 processor. The CPU usually determines the overall scanning system throughput. 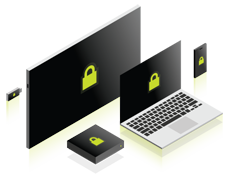 Faster processors and/or additional anti-virus scanning servers will increase the capacity of the anti-malware checking. Windows 7, Windows Server 2003 R2, 2008, 2008 R2. Download the Sophos Network Storage Data Sheet (PDF). *Price per server Quantity must be 200 or greater. *Price per server Quantity must be 500 or greater.